Because birth is such a transformative experience, some trepidation is normal and to be expected. However, in our current media culture, birth is portrayed as a medical emergency and used as a way to increase TV show ratings. 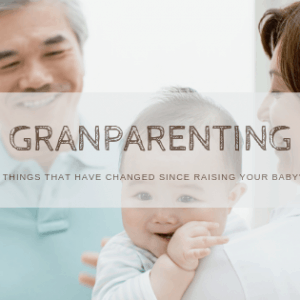 This turns normal trepidation into fear, which is further exasperated when people tell you birth horror stories when you announce your pregnancy or at your baby shower. 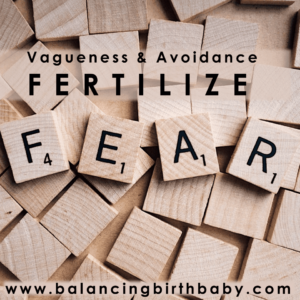 Feeling fearful or even resistant to your birth can have ramifications on how your labour unfolds. 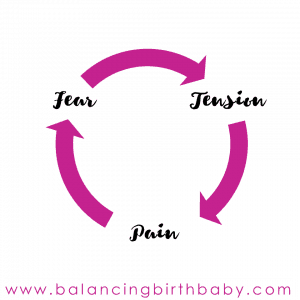 Have you ever heard of the fear-tension-pain cycle? 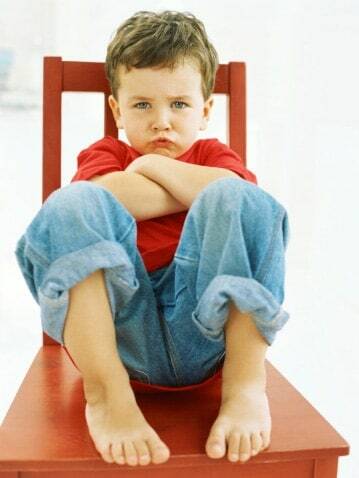 When we are afraid, our body holds more tension, which increases the amount of pain we feel. This, in turn, feeds the fear, building more tension, and increasing the amount of pain we feel. If we stay in this cycle long enough, it can actually slow down or stop the production of labour hormones, which then slows or stops the progress of labour. For this reason, it is important to face your labour fears preemptively. If fears do come up during your labour you will have already examined them and will know how to reassure yourself. By uncovering our hidden beliefs and fears about birth, in addition to the more apparent worries, we can feel more positive and ready for labour, then tense and scared. 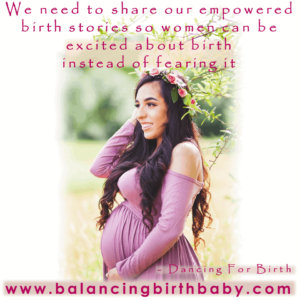 While you are working through your birth fears, it is important to surround yourself with positive birth stories at the same time. Protect your mind and your heart from impressionable horror stories. Ask that positive birth stories only are told at your baby shower. Some wonderful positive birth resources I regularly recommend are any of Ina May Gaskin’s books, the Birth Hour Podcast, and the Empowered Birth Blog Once you find several stories that are helpful and inspiring read them regularly whenever you get scared. While we are on the topic of resources, please do not check out the internet when looking for birth information. Internet forums can be riddled with birth horror stories. I recommend either Sheila Kitzinger or Dr. Sears books about birth – these are clear well-balanced guides about the stages of labour, pain management, and interventions. What you believe, know, and fear about birth has been instilled in you by our entire culture long ago. There are assumptions and expectations about birth that you may not realize you are holding onto as they have been with you for so long. When we avoid our fears they only grow bigger. By examing your fears you are able to reduce and often eliminate them. Spend some time quietly contemplating all that you know or think you know about birth. Consider your assumptions, your opposing beliefs, the stories you have been told (including your own birth story, family/religious/cultural beliefs, images, fears, traditions, and old wives tales). After 10-15 minutes write everything down as fast, you can. Allow the words to stream out of your pen. Don’t judge or hold back in what you are writing. Let it all out without questioning it. What does coping look like to you? What is ok to do when you are in pain? How should you sound, what should you do or not do? What are others supposed to do when you are in pain? What judgments do you have about women and how they handled or did not handle labour pain? You may have to ask yourself this a few times to reveal what beliefs are below the surface. What you discover may surprise or upset you. Maybe you feel you would be a failure if you had a cesarean delivery, or you feel you do not have the strength to handle labor without an epidural. Be gentle with yourself while you are reaching these new depths. Whatever answer you uncover is what you need to work on healing and reassuring yourself, as you get closer to meeting your baby. Once you are done, read over what you have written, or better yet have a close friend or your partner read it to you. While you do so, consider the following: What is the overall feeling in what you wrote? Did anything you wrote surprise you in any way? Are there any dominant themes and assumptions that came through in your writing? Are there any assumptions or beliefs that feel “charged”? Does anything jump out at you? Is there anything that makes you feel triggered in some way? How does holding onto this work for me? Who would I be if I did not have this belief? When/where/from whom did I learn this belief? How true is this belief? Is it always true OR only true some of the time? Does this belief motivate me? If so how? Is this belief a goal for me to achieve or avoid? Lastly, are there any beliefs about yourself that are more than birth? For example, one of my coaching clients was scared that she was not strong enough to push. In working together, we explored both her fear of strength in pushing but also her root fear that she was not physically strong in general. In doing this work together, we looked at where this belief came from, and how to heal this belief. Through the work we did, she was able to see that she was strong. This inspired my client to start a different exercise regime to prepare for labour. Ultimately, she did have a vaginal delivery and was able to handle the pushing stage of her labour. Flip the script is a process that I use personally and professionally to take a “closed” belief and flip it into something that is more open. A closed belief is a belief that is not open to other possibilities. For example, a closed belief is “I can handle the pain of labour” This is a positive belief, and most likely you can handle the pain of labour, however, if you cannot handle the pain, this belief sets you up to feel shame or failure. An open belief is a belief that is open to all possibilities and will help you to feel strong and capable no matter how your labour unfolds. For example: “I am open to all that labour brings to me” leaves room to both handle the pain of labour AND interventions if they are required. By flipping the script on your closed beliefs you become open to all possibilities and can start to let go of any judgment (self or otherwise) NOW before your labour begins. Go back through your writing from Step 2 and circle any beliefs that you have uncovered that are closed. Brainstorm how you can turn each one into an open belief. Explore what steps you need to take to incorporate this new belief into your life. One thing you can do is use your new beliefs as affirmations. 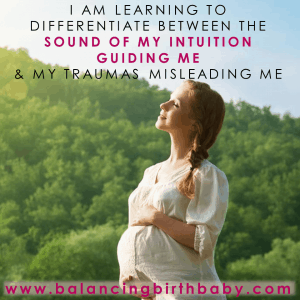 There is much I can say about intuition – it is such an important tool to prepare for labour and to assist us as parents. It can be hard to hear our intuition if there are so many other voices in our heads. One practice that can help is mindfulness meditation. If you have not meditated before, I highly recommend the Insight Timer App for guided meditations. There is a section specifically for pregnancy and labour. Listening to meditation or some calming music for 5 minutes a day and focusing on your breath can help you get into your right brain. The more you create this pathway, the easier to access your instincts in moments of stress and overwhelm. Now that you have a clear understanding of what your birth fears and beliefs are, it’s time to build a toolbox for your labour. This toolbox can be different for each woman. Your toolbox could have specific affirmations, mindfulness techniques, and a birth plan to help you navigate any interventions that could occur. 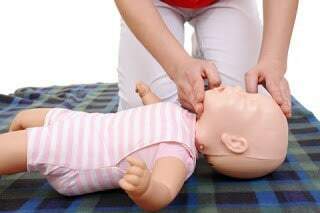 Taking a childbirth preparation class can help you decide what your toolbox should contain. 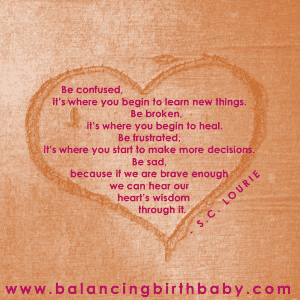 The positive birth stories you have discovered can also help you discern what to have in your toolbox. By examining your fears you have a more grounded sense of birth. If you are struggling still after following these steps or need help with anything you uncover please reach out to me. Working through these issues with a BIRTH PREPARATION COACH can make all the difference in your experience. It can also help you to not feel alone, especially if this process feels overwhelming. Book a free discovery call to see how working with a coach is the right step in your birth and postpartum preparation!